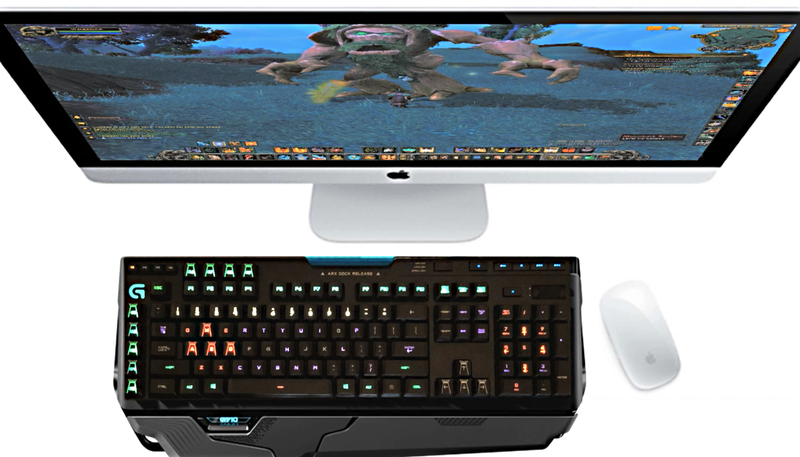 WoW G910 animates the lights on your Logitech RGB LED keyboard in response to in-game WoW events such as combat, earning an achievement, gaining Azerite, and looting gold. Your key lights can also change color in sync with spells and ability cooldowns. New in 5.0 Use more colors in your lighting profiles, including separate colors for each action bar light. Faster animations triggers. Combat pulsing that responds to your health level. You no longer need to install Java to run the app. Blizzard doesn't allow AddOns to directly control computer hardware. 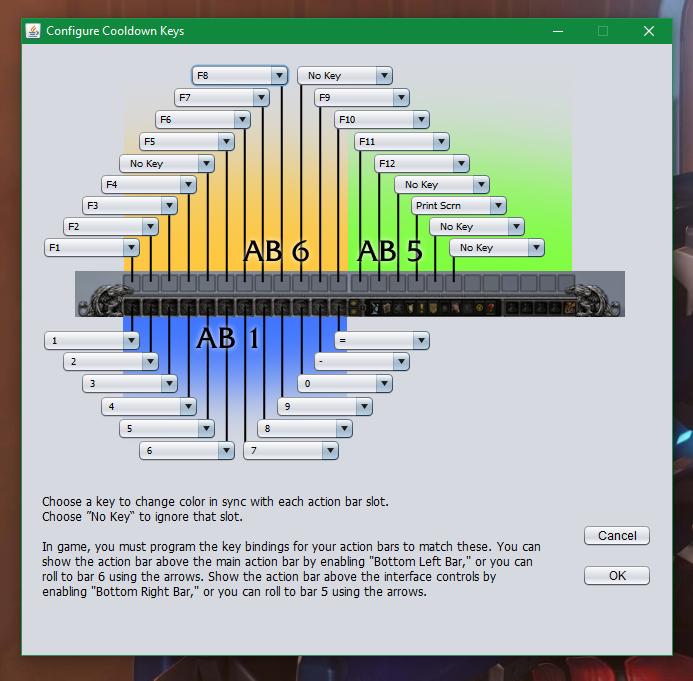 This download includes an AddOn plus an executable application to control the keyboard LEDs. 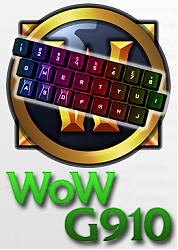 4) Play WoW in a new colorful dimension! WoW G910 requires macOS v10.10 or newer or Windows 7.0 or newer. Your feedback and donations are welcome! Zoin86, thanks for trying my program. Can you confirm game control of lighting is enabled? 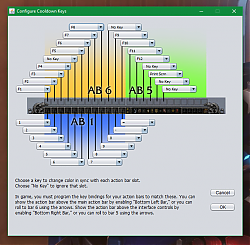 To do that, open LGS, open the settings window (click the big gear in the lower-left), and on the General tab, ensure "Allow games to control illumination" is checked. Last edited by Zoin86 : 09-04-17 at 07:12 AM. It looks very awesome and I would definitely like to use it. My concern is if you can actually get banned for this? 7. The use of any "user interface" other than the user interface that is included in the World of Warcraft Software ("Third Party User Interface") is not recommended by Blizzard Entertainment, and you hereby agree to indemnify and hold harmless Blizzard Entertainment from all claims, damages, and other losses which may arise from your use of a Third Party User Interface. Right, you cannot sue Blizzard if my AddOn misbehaves. At such time that Blizzard elects to post a list of approved Third-Party User Interfaces on its website, you agree that you will use only those Third-Party User Interfaces approved by Blizzard, and that you will use no other Third-Party User Interfaces in connection with World of Warcraft. Blizzard has never posted a list of "approved Third-Party User Interfaces." The PC/Mac app only looks at the screen. It does not read any of the game data in RAM. If you want to argue the video frame buffer is "RAM," then Twitch is in big trouble! Download and enjoy with confidence! Last edited by Waldokind : 06-18-17 at 11:35 AM. The only thing you're likely to get from an official source is that as long as the addon is running on LUA and only on LUA it's allowed, because addons that run within the game can only do what the WoW developers allow them to. Anything external (anything that requires an executable to run alongside WoW) they can't really say "legal" to, since they have no control whatsoever over those programs. As far as I can see the things you mentioned are purely addons, if that's the case then they're fine for the reason I said above. They run on code allowed by Blizzard. Hi i have a G810 keyboard and notice with your app the caps lock scroll lock upper lights and the game key light don't work with your app. Hi trebleta. It was good to exchange emails with you on this issue. As we figured out together, the keyboard "mode" lights are not under control of my program; this is an LGS thing. Calibration failed. Please try again...i don't know why it doesn't work . Hi taupic81. Thanks for giving my program a try. Please put the application into debugging mode by clicking the round keyboard art in the upper-right of the window. Then run calibration again and send an email to me with the full debugging output pasted in. I'll help you get it working. This will erase your current calibration, if any. The app will appear frozen for up to 90 sec. and my world of warcraft is in windowed full screen, i don't know why it doesn't work . "Disregard, my G910 software was not fully updated. It works great now!" "I tried the newer version last night and it works just fine now (8.84.15)." Can you give that a try and let me know? One other thought I had is that LGS is available in both 32-bit and 64-bit. So is my program. And Java. 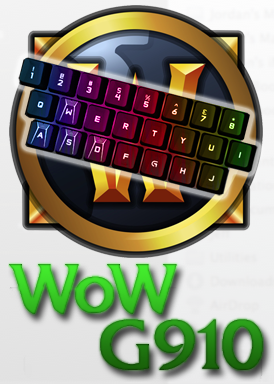 I see you have the x64 version of WoW G910. Do you have the 64-bit version of LGS installed also? I have installed the wow G910 add on and i have a problem. ps: i'm using windows 10 64, my logitech drivers are updated, and it does the same thing with the 32 and 64 bits version of the jar program. Enjoy enhanced animations and new Legion-centric effects with the new version. Windows version 1.1 is out and merges the 32 and 64 bit versions into a single file. This error should be a thing of the past. I ran into the same problem when I finally got my hands on a 64-bit PC to test on this week. The solution for me was to actually use the jar in the "32-bit" folder instead of the 64-bit, even though it's a 64-bit OS. Can you try that and report back here? I believe I know the problem, but will have to recompile on this new 64-bit machine to fix it. In the meantime, the "32-bit" version works perfectly for me in WoW. Last edited by penguinsane : 05-29-16 at 07:41 PM. Re: Any chance of PC version? Wait no more...Win WoW G910 is here! Well, here.